Aventis Systems offers academic pricing for a selection of Microsoft Windows Server operating systems and Client Access Licenses (CALs). From the workgroup to the data center, build an infrastructure of connected applications, networks, and web services with Microsoft Windows Server. To best suit new or legacy servers and applications in your school, university, or education institution, take advantage of downgrade rights to install earlier editions if needed for legacy applications. 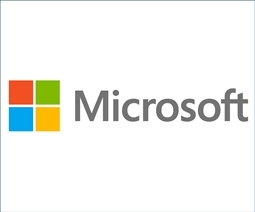 Aventis Systems sells Microsoft Academic Licenses in quantities of 5 to meet the minimum order requirements of Microsoft’s Academic Volume Licensing program. If your organization has already satisfied Microsoft’s Academic Volume Licensing program's minimum order requirements, please call 1.855.AVENTIS or email sales@aventissystems.com for custom quantity quote requests. Browse our Academic Microsoft Windows Server OS licenses and CALs below. Looking for standard Microsoft products or VMWare & Veeam virtualization solutions? Please check out our selection of Microsoft, VMWare, and Veeam products today.